So, rather than set you on some vague vision quest, we’ve come up with five specific questions to help you narrow down the decision in more concrete terms. Question #1: Do you want to be a big fish in a small pond or a small fish in a big pond? We once met with a student who was valedictorian of her high school, with high AP scores and membership in multiple honors societies. All the academic accolades she could squeeze out of her small rural public school. Then she went to UC Berkeley and got a C in Organic Chemistry, as she struggled in solitude and drowned in large lecture halls. She could have recovered from this bad grade, but she was so shaken that she decided she no longer wanted to be a doctor. If you couldn’t tell, she was a small fish in a big pond. And a very competitive pond, at that. It clearly wasn’t the environment she needed in order to thrive as a hopeful doctor. And she’s not the only pre-med to regret attending a UC. What constitutes a big pond vs. a small pond? Besides looking at overall size of the student body (big pond ~ 20,000+), you can consider the percent of biology majors at the school (decent indicator of pre-med competition), as well as factors like student-to-faculty ratio. For reference, a big pond like Berkeley (~29,000 students) has 11% biology majors, with 18 students per faculty. It also has a professor accessibility ranking of 69/100 from the Princeton Review. A small pond, like Occidental College in California (with ~2000 students), has nine students per faculty and a professor accessibility ranking of 92/100. It has 13% biology majors, but that only amounts to ~260 pre-meds, as opposed to ~3,200 at UC Berkeley. Lastly, you can check the AAMC data to see how many medical school applicants come from the school every year (another indicator of big pond vs. small pond). It might not be easy to admit, but some students are much better off in a small pond, where there will be less of a sink-or-swim mentality. Maybe there are gaps in your knowledge or you need that extra adjustment period and hand-holding, which smaller schools can provide. But perhaps you feel like you’re up for the competition and know that a big pond environment will bring out the best in you. Perhaps you want to be surrounded by the absolute brightest (and most ruthless?) as a way to elevate your growth. Try to be honest with yourself about what environment suits your learning style best, and use the available info to guide your decision. Question #2: How good is the school’s pre-med advising? One tell-tale sign (but not the only sign) is the number of dedicated pre-health advisors (preferably, one dedicated pre-med advisor) listed on the school’s pre-health advising page. From our experience, schools will range widely, anywhere from 1-2 (UC Berkeley), to 7 (University of Dallas), to up to 20 (Texas Christian University). Some don’t list or name any specific pre-health advisors at all. If someone is the advisor for medical school AND law school AND grad school, then that’s a lot to keep track of. We know. 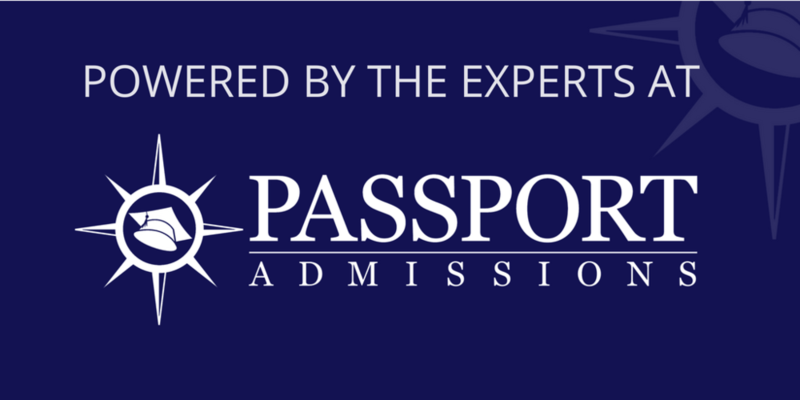 Not to brag, but we at Passport have dedicated advisors for each field. It’s one of the reasons that students hire us to help them make a four-year plan and get in, because of our medical-school-specific expertise. Remember that the number of advisors needs to be put in context with the total number of students. For example, like Berkeley, Occidental College also has two pre-health advisors listed on its website, despite having ~27,000 fewer students. Another thing to check is whether a school offers committee letters to students for their medical school applications. A committee letter is authored by a pre-health committee or pre-health advisor; it offers evaluation and advocacy on your behalf by highlighting your accomplishments and outlining your overall preparation and motivation for a career in medicine. At best, a committee letter - especially at a smaller, lesser known school, will help give medical schools context for your application. At worst, a committee letter - especially at a larger school - can serve as a deterrent, since the school will only go to bat for students that pass muster for their committee letter. Overall, we think committee letters are a wash. At bigger schools, they probably don’t do you any favors, but at a smaller school, they might show a level of organization and professionalism for the pre-med department. For the record, Berkeley does not offer one and Occidental doesn't either. Overall, the higher the number of major-specific and pre-health advisors, the better, since this will mean more attention and guidance on your path. Question #3: Is the school well known for grade deflation? Some schools are more likely to give A’s than others, and some schools even have policies in place to limit the amount of high grades given. For example, Princeton passed a measure that mandated all departments limit their A-range grades to 35% of students. UC Berkeley has a similar policy, limiting science classes to no more than 15-20% A grades. This has led to a stark difference between the average graduating GPA from UC Berkeley compared to elite private institutions. Schools like Harvard, Yale, and Stanford consistently have higher average GPAs than schools with these restrictive policies in place. No surprise. Besides Berkeley and Princeton, what schools are known for grade deflation? When researching this question, it’s admittedly tough to distinguish hearsay from actual facts and data. With all the grade inflation and deflation going on, you’d assume that medical schools would account for this, right? Not really. In some rare cases, medical schools might see your university as rigorous and give you a GPA boost, but most of the time, GPAs and transcripts will be evaluated the same, regardless of your institution. Medical schools can’t just say, “Oh, let’s give this MIT 3.6 GPA a little bump over a Harvard 3.6 because of deflation.” There’s no fair way for them to handle this discrepancy, so each admissions officer just reviews applications “holistically,” whatever that means to them. When choosing your college as a pre-med, ask yourself: is it harder to get an A at X school than most others? It’s a bit sad to say, but going to a school where it’s harder to get A’s will only hurt your academic credentials and leave you with less time to engage in extra-curriculars. So be wary of the deflators. Question #4: HOW SMALL ARE THE CLASSES? This coincides heavily with the big pond vs. small pond debate earlier. Despite its large size, UC Berkeley is able to boast that 71% of its undergraduate classes have 30 or fewer students. Not bad. Here’s a website that lists many schools’ averages for class size, in case you want to compare. But what about science classes specifically? This is harder to find. For example, Berkeley doesn’t list this data (best you can find is the average for the entire College of Letters and Science). But there are testimonies available from current and past Berkeley students. They admit that intro classes might have hundreds of students, but that the classes significantly shrink as you take more major-specific courses. It seems safe to assume a similar progression in class sizes at other large universities. Of course, if you look at a small school like Occidental College, they’re able to boast much smaller average class sizes, with 90% of undergrad courses having fewer than 30 students. Most medical schools require two letters of recommendation from science faculty, so small class sizes are crucial for establishing personal relationships (there’s a reason they call generic letters of recommendation the “Berkeley Letter”). But small class sizes also facilitate more informal mentorships. Faculty can open doors to research opportunities, teaching opportunities, and more that will enhance your application to medical school. And of course, you can develop these relationships wherever you go to college, but it’s easier at schools with smaller classes. Question #5: How do you feel on campus? Before even stepping foot on campus, you can research the overall happiness of students at particular colleges. The Princeton Review lists William and Mary, Oklahoma, Vanderbilt, Tulane, and Rice as the top five based on surveys regarding student happiness. Sorry UC Berkeley - the only UC in the top 20 was Santa Barbara (certainly known for “happy” students). Every student is different, but if students seem to unanimously like or dislike their experiences, that can be a good indicator of how invigorated or suppressed the environment will make you. Of course, you need to make some decisions based on personal feel. We can’t remove the ‘vision quest’ aspect of the college search entirely. When you visit a campus, try to explore the nooks and crannies, beyond the academic and lab facilities - the dorms, the dining hall, common student hangouts. Talk to as many students as possible to assess how well you might fit into the culture; you’d be surprised by how much your opinion can change from a few conversations. Being a pre-med is stressful, and it requires constant focus and dedication. This means you need an environment that’s conducive to your academic rhythms and learning style. You also need a student cohort around you that will provide the right mix of comfort and inspiration. An unpleasant atmosphere or lack of “fit” at a school can lead to decreased happiness and productivity - not a recipe for success as you try to accumulate letters, lab positions, and clinical experiences, all while maintaining stellar grades. Do you need help finding the right pre-med college for you? Passport is here to help. We have decades of experience in BOTH college and medical school admissions, and we love simplifying the process for students and parents. Click here to book a FREE MEETING to discuss your application goals with our expert college advisors! Older PostCan Applicants Bribe Their Way into Medical School?